Born in Louisville, Kentucky, Mr. Minner attended the University of Kentucky on full academic and R.O.T.C. scholarships and graduated Phi Beta Kappa, with departmental honors and with highest distinction. In 1996, he graduated from the Vanderbilt University School of Law where he received the Weldon White Scholarship and was elected by his peers as an Officer and their Representative to the Vanderbilt Bar Association among other honors and achievements. Prior to joining the firm, Mr. Minner was awarded a federal judicial clerkship with the Honorable C. Lynwood Smith, Jr., United States District Court, Northern District of Alabama. Mr. Minner is Managing Partner of the firm’s Kentucky office. He has served as co-lead counsel in a significant claim against a major pharmaceutical company on behalf of the Commonwealth and has represented other states and governmental entities in significant pharmaceutical litigation. Mr. Minner also practices in the areas of serious personal injury, products liability, nursing home abuse/neglect, business litigation, wrongful death, and medical/pharmaceutical litigation. He has a national practice, having handled cases in many states, and has been sought out to represent individuals, businesses and governmental entities from across the country. 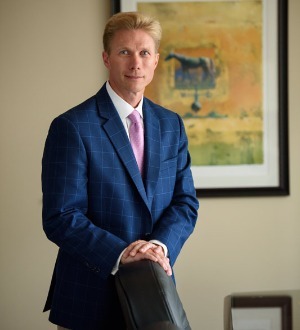 Mr. Minner has tried numerous major jury trials in state and federal courts and had tremendous success in complex and high profile cases obtaining million and multimillion dollar verdicts and settlements for his clients. His aggressive and innovative approach to trial preparation has led him as far as Ghana, Africa, in pursuit of an excellent result for his client. In 2011, he was recognized by the National Law Journal for attaining one of the Top 100 Verdicts in America. In addition, in 2012, he was recognized as having one of the top five verdicts of the year in Kentucky and has been separately recognized as having obtained one of the top 10 verdicts of the decade in Alabama. He holds an AV Rating from Martindale-Hubbell (the highest rating attainable for ethical standards and legal ability), and has met the significant trial requirements, peer review requirements and judicial review requirements for Board Certification as a Civil Trial Specialist by the National Board of Trial Advocacy. Mr. Minner was selected by his peers for inclusion in The Best Lawyers in America in the field of Personal Injury Litigation. He also has been listed as a Litigation Star for several years in Benchmark Litigation The Definitive Guide to America’s Leading Litigation Firms and Attorneys and named to Super Lawyers. Mr. Minner serves as President of the Hare Wynn Foundation and takes great pride in the philanthropic pursuits of the firm. He is a founder and currently serves as President of Cure KY Kids, Inc., a non-profit organization established to benefit Kentucky’s children fighting cancer and their families. Mr. Minner also is a member of the National Board of Directors for the University of Kentucky Alumni Association. He has previously served as President of the Central Alabama University of Kentucky Alumni Association. Mr. Minner is a member of the Executive Committee of the Alabama Association for Justice. He was formerly elected by his peers to the Executive Board of the Bar Association’s Young Lawyer’s Division and the Executive Committee of the State Bar Young Lawyer’s Section. He is a member of the Leadership Forum Class of 2006 and serves as the Financial and Long Range Planning Chair for that organization. Mr. Minner served on the Board of Directors of the YMCA where he was named the Volunteer of the Year in 2008. Mr. Minner, his wife, Joy, and children, Jackson, John Luke, Jaye Beth and Joe are active members of their church. He has served on his church’s Administrative Board and Board of Trustees. Mr. Minner also enjoys challenges away from the law and has competed in the Boston Marathon, triathlon competitions and other cross training events. You can also regularly find him on the little league fields where he has coached football and baseball for several years.